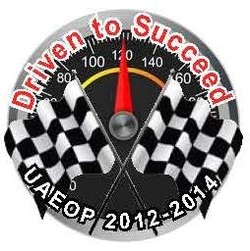 2013 UAEOP Conference - "Driven to Succeed"
AVOIDING BURNOUT, Presented by Tim Frost & Annette Brinkman of Granite School District. Their team approach and high energy presentation was informative and entertaining! A very talented Tim Frost performed his rousing rendition of "I'm Still Here!" BRAD BARTON - KEYNOTE SPEAKER, Presented by Brad Barton, Author & Certified Speaking Professional. Brad's humor, emotion, and 'magic' inspired us all to move through illusions and create real magic within our own lives. TUNE IT UP, Presented by Tayna Adams, LMT & Essential Oils Specialist. Tayna taught us how the use of essential oils can assist in boosting our metabolism, boosting our mood, and helping us to tune up our engines. Congratulations to the UAEOP Administrator of the Year, Mitch Robison, from Granite School District and to the UAEOP Office Professional of the Year, Krystine Hancock, from Canyons School District. Thank you to all of the conference attendees who donated food to the Utah Food Bank. In addition to non-perishable goods that were donated, the UAEOP donated $105.00 as well. Thank you for participating in this years service project.